DUI Records: “DUI” (driving under the influence), while sentencing and process varies from State to State the legal limit BAC (blood alcohol concentration) across the U.S. is 0.08% (drivers over 21) 08 grams of alcohol in every 100ml of blood. Some states are seen as more Stringent (Wisconsin-re: first time offenders) while Utah is seen as more lenient (HB155 takes effect 30th December 2018 re: revised 0.05% BAC). 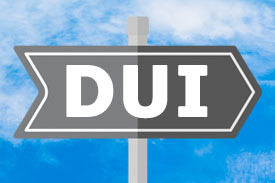 DUI Records terminology asides from ‘driving under influence’ can be referred to as “OWI” (operating while intoxicated), DWI (driving while intoxicated or impaired), “DWAI” (driving while ability impaired) and “OUI” (operating under the influence). The very mechanics of DUI Records also rely on the preliminary DMV (APS) Hearing. The Department of Motor Vehicles (DMV) holds the Administrative Per Se (APS) Hearing in a field office (Not a court room). Around 90% of individuals lose the DMV hearing, you can be accompanied by an attorney. Typically losing the hearing results in a restricted license, a driving record report will confirm this. Some DUI Records (driving report) may show both the DUI arrest and the DMV meeting although more generally only the DUI arrest. A DMV hearing must be requested within 10 days of arrest. Furthermore, apart from simply driving under the influence of alcohol, having an open container of an alcoholic drink in the car is also a criminal offence. However a few states including Delaware, Mississippi, Connecticut and Missouri do not have open container restrictions. DUI records are in place as a result of practical measures undertaken by State authorities. At different intervals, the state police has reserved certain points as DUI check points. These are also known as sobriety check points because they ensure that the people driving on that particular route are sober, and not driving under the influence. Furthermore, each check point has a police officer, who reserves the right to stop a passing vehicle to ensure that these laws are not being violated. 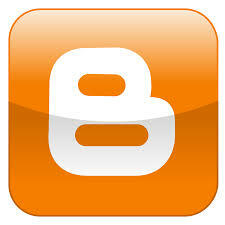 For further details on the difference between DUI and DWI please follow the link. The driver is supposed to pass the DUI check by breathing into a breathalyzer, an apparatus that has been programmed to record the level of alcohol in a person’s breath, and compare it to the legal limit for blood alcohol. Such sobriety tests may also require the driver to walk in a straight line, or perform other actions that help the police officer identify whether the driver is driving with excessive alcohol in his or her bloodstream. Driving under the influence is a major cause for thousands of deaths all over the world today, and it is imperative that one understands the necessity to adhere to laws that help prevent such accidents.